This article is part of our special report Aviation. SPECIAL REPORT / The failure to clinch a global deal within two years on reducing aviation greenhouse gas emissions could pave the way to a patchwork of regulations that would harm airlines and the environment, analysts say. Aviation industry representatives and environmentalist tell EURACTIV that there is no time to waste in reaching a global deal to create a market-based scheme to mitigate carbon dioxide (CO2) emissions and a CO2 standard for aircraft. Years of fumbling by the International Civil Aviation Organization (ICAO) mean that a global framework will not be agreed before 2016, leaving a small window for full implementation before the target deadline four years later. The absence of an agreement at the ICAO’s next assembly in Montreal in 2016 could trigger the European Union to reimpose its now-frozen emissions scheme on foreign carriers operating at EU airports. Also by that time, the US environmental agency will have decided whether aviation emissions pose a threat to public health and should be regulated. Environmental groups have long complained that the ICAO, the de-facto global aviation regulator, has failed to follow through with recommendations outlined under thee 1997 Kyoto protocol to develop measures to control greenhouse gas emissions produced by aircraft. Transport and Environment, an environmental pressure group, called the years after Kyoto “the lost decade” because of ICAO’s hedging on setting global emissions standards. European industry officials have also privately expressed concern that the absence of an ICAO framework hurts airlines, especially those based in the EU, which currently has the only binding policy to control aviation carbon output, the emissions trading system, or ETS. “We’ve been in limbo for a long time,” one airline executive familiar with the ongoing ICAO talks told EURACTIV at the Farnborough International Airshow in England, adding that the international delay in setting standards contributed to the EU’s move to develop its own measures. Another industry official also pressed for a global agreement sooner than later, saying “regional measures detract from the market”. The EU’s initial inclusion of foreign airlines operating in European airspace under the ETS triggered an international furore, with threats of retaliation from key business partners, including China and the United States. “It was tantamount to a trade war,” said Kevin Morris, aviation and environment manager at ADS, which represents Britain’s aerospace industry. Officials at the ICAO’s Montréal headquarters did not respond to questions on the status of the talks. The ICAO’s 191-member decision-making assembly only meets every three years. Recommendations from its working groups are due next year. The EU ETS originally applied to industries and utilities, and took effect for airlines on 1 January 2012. The system initially imposed a cap on carbon dioxide emissions for all planes arriving or departing from EU airports, while allowing airlines to buy and sell “pollution credits” on the bloc’s carbon market to reward low carbon-emitting aviation. EU leaders agreed to suspend the application of the rule to foreign carriers. The European Parliament agreed a compromise deal on 4 April 2014 that extends the freeze through 2016. In a victory for environmental groups, last month, the US Supreme Court upheld the Environmental Protection Agency’s power to regulate carbon emissions under the country’s landmark Clean Air Act. Irene Kwan of the International Council on Clean Transportation, a research organisation based in San Francisco, told EURACTIV that the ruling positions the agency to determine whether aviation emissions have an impact on public health. If such a determination is made, as is expected in the coming months, the agency could order remedies such as carbon-performance standards on aviation fleets, or emissions rules on jet engine manufacturers. The EPA currently only regulates aviation nitrogen emissions. Such a move would put the United States – which formally opposed the extension of the EU ETS to international carriers – in the position of pursuing policies that could conflict with ICAO standards. Under the Clean Air Act, the EPA has broad independent power to impose regulations. Dan Rutherford, an aviation expert and Kwan’s colleague at ICCT, has warned that if “ICAO cannot develop global measures fast enough, or ambitious enough, to address aviation emissions growth, those regional measures might again come front and centre”. It remains to be seen what approach the ICAO will take, even if an agreement can be reached amongst its 191 member states. It’s two-part mandate – setting emissions standards for aircraft, and creating market-based system to reduce emissions – is being hashed out by working groups representing the governments, the aviation industry and NGOs. Kwan, the ICCT researcher, said it was crucial that the emissions targets for airplanes apply to more than just future aircraft. 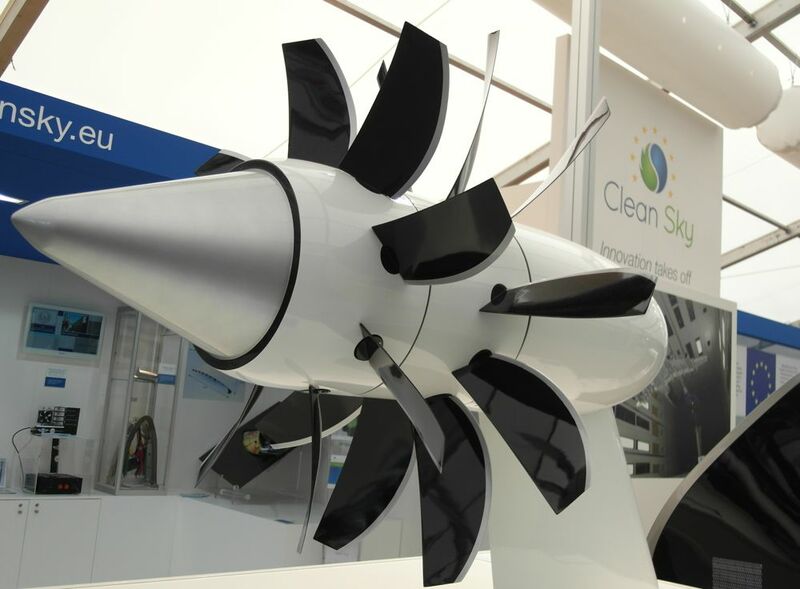 “We’re pushing for a standard that would also cover current, in-production aircraft versus just new, clean-sheet, in-design aircraft,” she said in a telephone interview. In the meantime, environmental groups worry that pressure from emerging economies, and some industry groups, will lead to a timid, market-based system. One possible compromise would be foregoing a cap-and-trade system like the EU ETS – which sets an overall cap on emissions – for a credit-based scheme, where a business-as-usual baseline is set and airlines could score credits for exceeding the baseline. The latter approach might appease developing and emerging nations opposed to burdensome measures, but is seen as less of an incentive for airlines to change. In addition to these goals, the International Air Transport Association (IATA), another trade group, has committed to carbon-neutral growth in the commercial aviation industry by 2020 and supports reducing net aviation carbon emissions of 50 percent by 2050, relative to 2005 levels. Last year, the IATA prosed a credit-based, carbon-offset system whereby air carriers or individual countries would have to buy credits to cover each tonne of carbon emitted over a baseline recommended by ICAO. Whatever emerges from the next ICAO assembly, the EU gets at least some recognition for compelling the UN body to act. “Given the global 4.5% per annum growth in aviation demand and the slow progress in establishing global measures for reducing aviation emissions, meeting the ICAO goal of carbon-neutral growth from 2020 may require a full court press, including global, regional, and even local (i.e. airport-based) measures. Transport accounts for 23 percent of greenhouse gas emissions and is growing despite efficiencies, according to the Intergovernmental Panel on Climate Change (IPCC). The Air Transport Action Group in Geneva estimates that the global aviation industry produces around 2% of all carbon dioxide emissions, and accounts for 12% of CO2 emissions from overall transportation sources. In a draft report the IPCC’s working group on mitigation of climate change said: “Without aggressive and sustained mitigation policies being implemented, transport emissions could increase at a faster rate than emissions from the other energy end?use sector through 2050.” Demand for air travel is expected to grow briskly in developing and emerging economies as incomes and infrastructure improve. Emissions have more than doubled since 1970, with road traffic contributing 80% of that increase, IPCC reports. EU accounts for an estimated 35% of global emissions. However, its contribution has been falling compared to other regions, according to U.S. Environmental Protection Agency.